CDS sponsoring Sentimental Sundays this week!! Hope you will come play in the challenge! I made this card as a Thank You card for the two main ladies that put on Vacation Bible School at my church. The theme this year was Medieval, Castles, Knights, Dragon, etc. 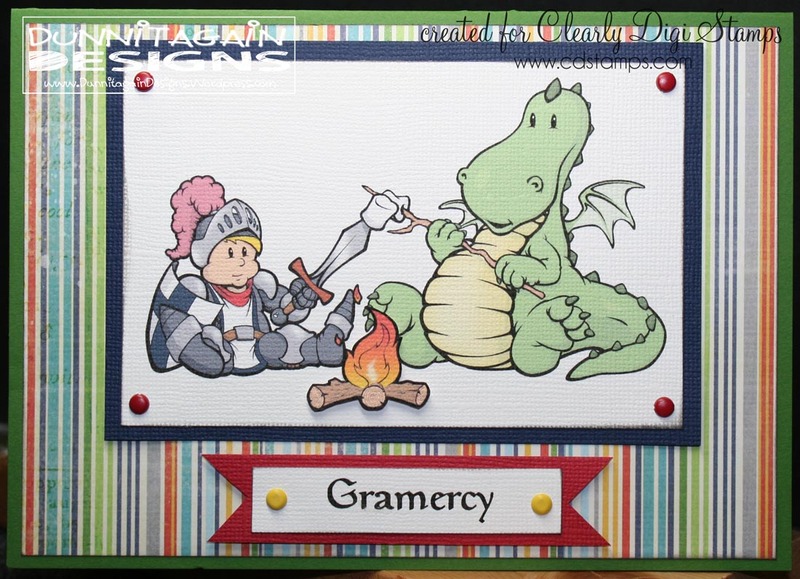 So I thought my husband digital stamp – Knight Marshmallow Roast was perfect to use on the Thank You cards. 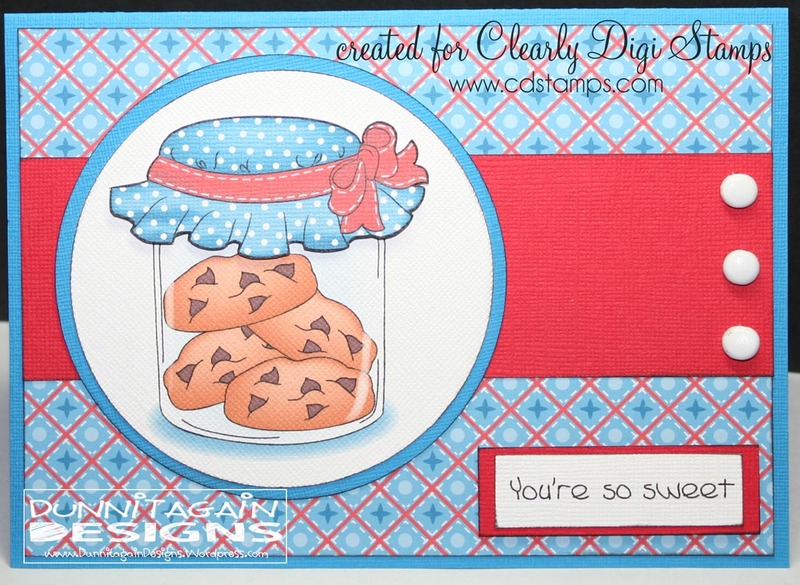 Reminder for the Clearly iStamp Blog Challenge #1 (CiSC1)- Color Challenge – Red, White and Blue! 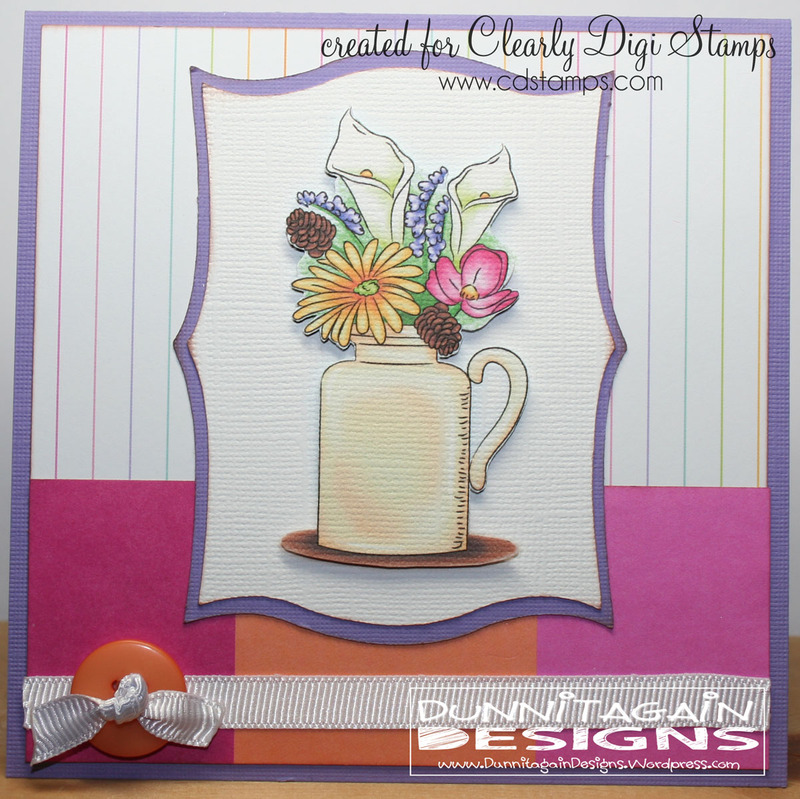 For a limited time you can get this Floral Jug image free with a purchase! I used it to make this card and was super easy!! Plus I think it just turned out too darn cute. Red, White and Blue for you!! Yippee!! It is finally the 21st so I can reveal all the changes that have been made to the challenges at Clearly iStamp Blog. Go check it out I think you will like it! Plus, we are looking for members to join the CiSC Design Team. If you interested GO CHECK OUT THE DETAILS!! 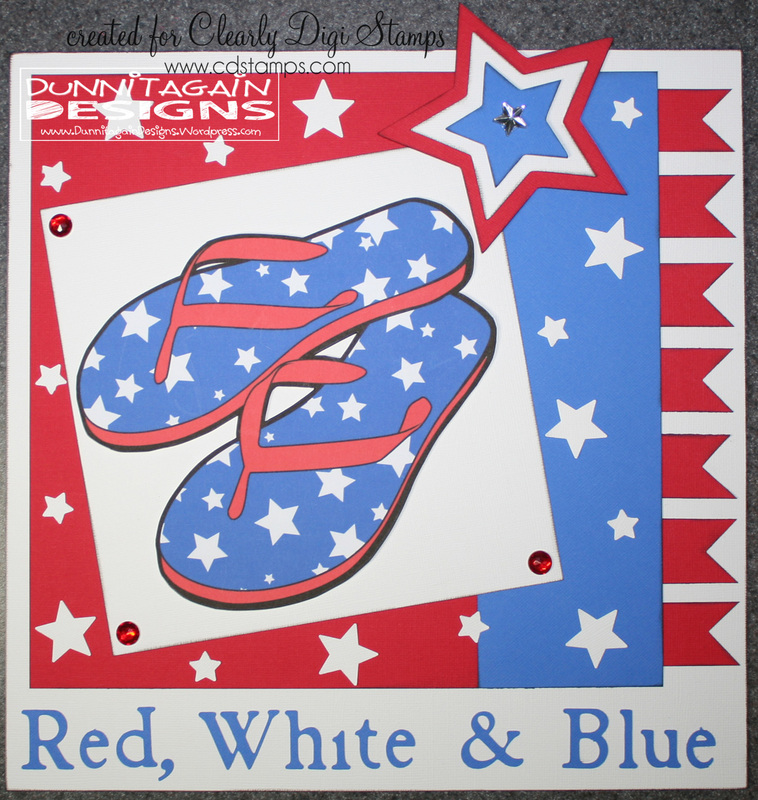 I went with the traditional Fourth of July/American theme because this is a door hanger (12 x 12) we will make Saturday at the Retirement Home. I think I might make this into a card too! I used MOJO298 Sketch as inspiration. 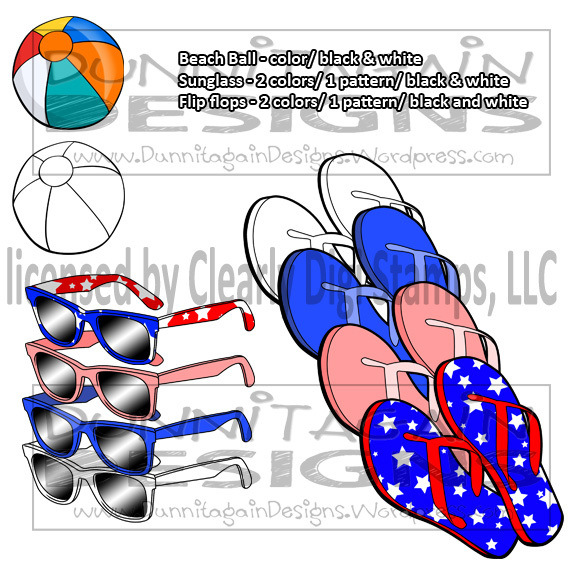 2) Cut It Up Challenge #21 – Red, White and Blue (must have a die cut) All the stars except the tiny ones were cut on my Cricut. The letters were also cut using the Cricut. 5) Squigglefly Challenge #24 – May Your Colors Be True, Red White and Blue! This was a special order card and I’m so glad I did it! I really like it. I picked up the patterned paper at Micheal’s when it was on sale and so glad I did….it perfectly! Stay Calm and Buy Shoes!!! Oh mother nature has rained havic on my day! I have had no internet at the house since yesterday! 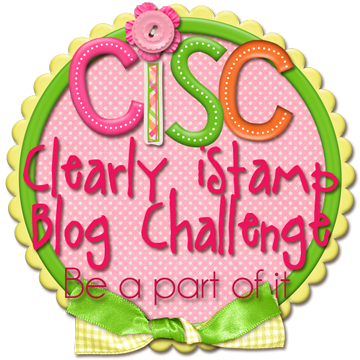 Which is totally NOT cool when Clearly iStamp is having their monthly blog hop! So I hope to have my card up shortly. The theme this month is STAY CALM AND _____________ (Fill in the blank). Well, I have seen this saying everywhere but had no clue where it came from or the meaning behind it. So I googled it and discovered that basically now it can be used for anything and is just a marketing tool. 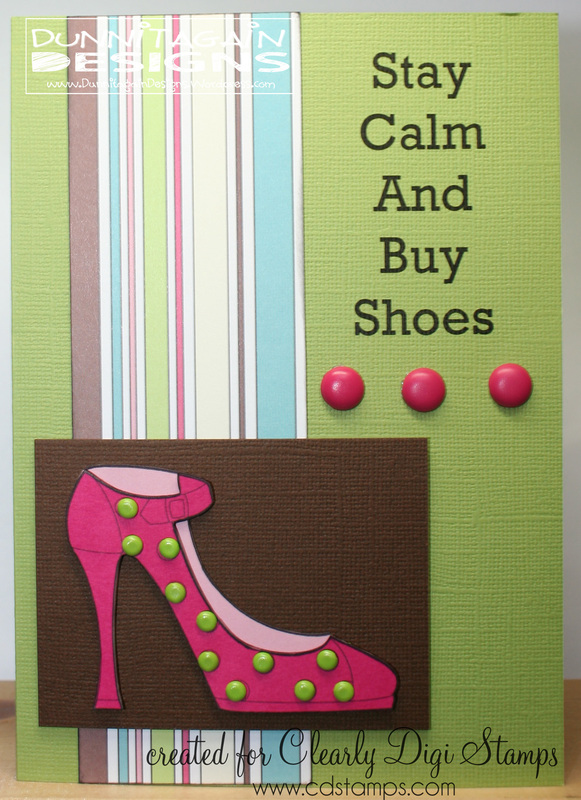 So I made this card with my friend in mind who loves high heel shoes! I used the digital image Walk by Faith. 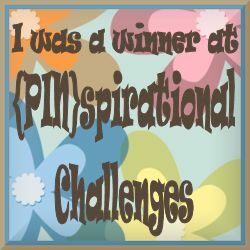 You have a chance to win this digital image just for leaving me a comment!! 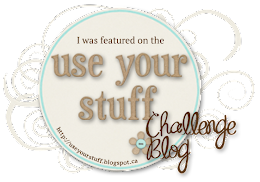 Each blog gets to pick one winner from the comments to win the stamp that was used on the blog. After you leave me a comment head over to Linda’s Blog – The Stamper’s Touch Make sure to leave her a comment too so you will have a chance to win the digtal image she used on her card! Kids out of school time for Summer Time fun!! 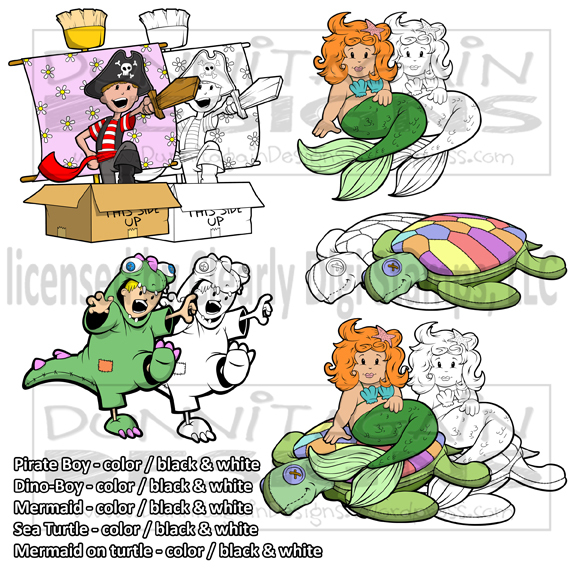 I have two new stamps to show you since it is June’s Release Day of some very cool digital images at Clearly Digi Stamps! First with the sun out nice and bright lately this digital stamp – Summer Fun will come in handy. I found the saying on the internet and thought it was perfect!! 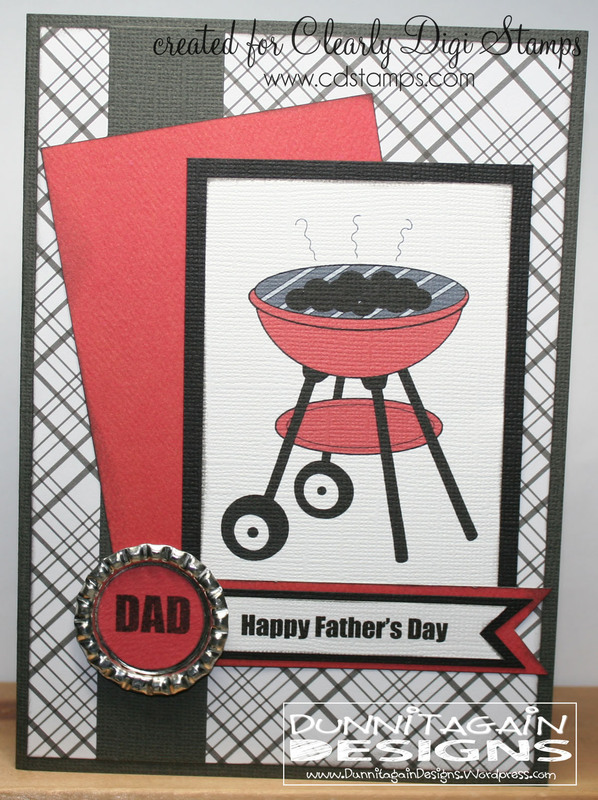 This card took on a retro look all on its own….that wasn’t planned!! I love how this card turned out. 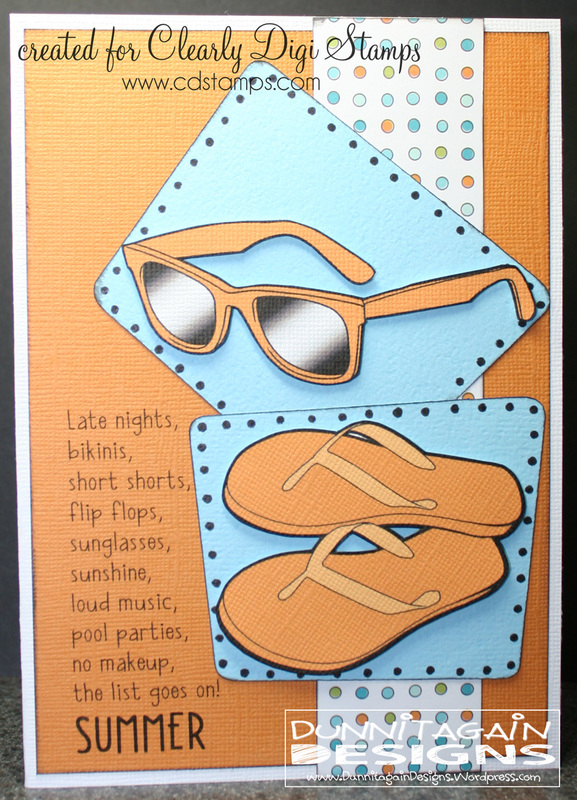 1) June Card Challenge on scrapbook.com – Theme category – summer. Now with lots of times on their hands it is time to let the kids imaginations run wild with Make Believe fun! My husband designed this set for all the kids that dress up and play! Encourage someone to use their imagination with this Make Believe Digital Image. I made mine a birthday card! I just love how fun and colorful this little mermaid is. 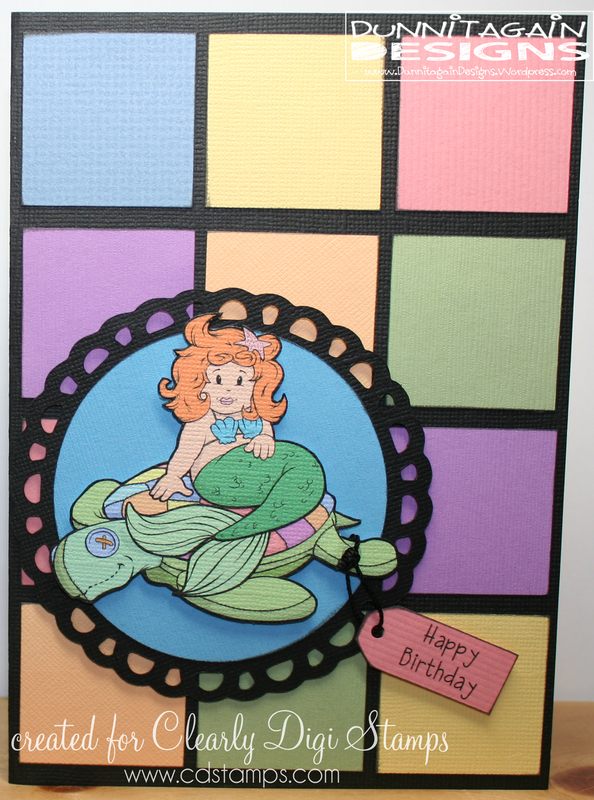 I thought this sketch was perfect to match the color blocking in the turtle!